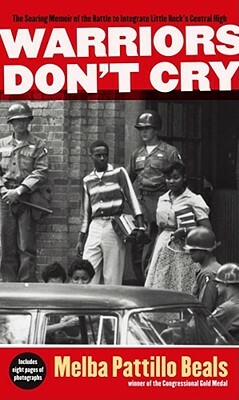 In her memoir, Warriors Don’t Cry, Melba Pattillo Beals walks students into the events of Central High School and makes them feel the sting of physical and emotional abuse the Little Rock Nine suffered as they lived the history of the Brown v. Board of Education decision. Beals’ book tells the story of young people who became accidental heroes when their lives intersected a movement for justice in education, and they made the choice to join the movement instead of taking an easier path. 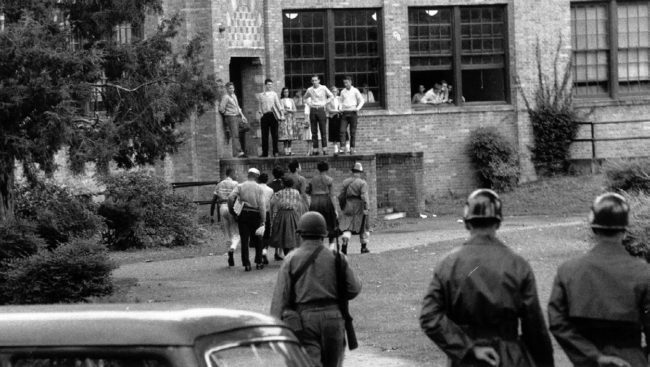 This teaching activity encourages teachers to begin with a role play to increase students’ knowledge of the historical context of segregation and the struggle for civil rights. Following the role play, students write a “Writing for Justice” narrative about an incident from their lives. They then engage in a literary mixer as they meet key players in the book. While students read the book, they keep a dialogue journal where they keep track of their insights and questions. They also identify targets and perpetrators of injustice as well as allies and bystanders. During the unit, students write an essay, poetry, and interior monologues. They draw literary postcards, engage in improvisations, and create character silhouettes to collect evidence for their essay. 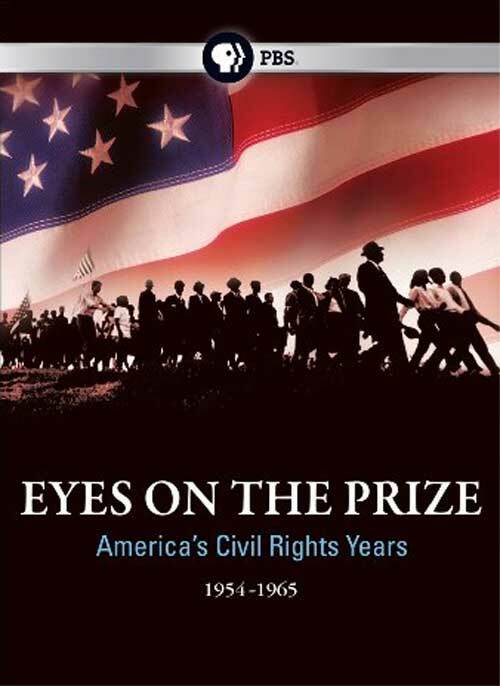 Linda Christensen also interlaces footage from Eyes on the Prize and Standing on My Sisters’ Shoulders for students to see and hear events described in the memoir. The films and other texts from the time period help students understand that the story of the Little Rock Nine was part of a larger movement to reshape U.S. society. Daisy Bates and the Little Rock Nine with officers of the NAACP at their 49th annual convention. Mrs. Bates and the nine students received an award for their heroism during the school integration crisis in September, 1957. Pictured seated in row 1, left to right: Carlotta Walls, Melba Pattillo, and Elizabeth Eckford. 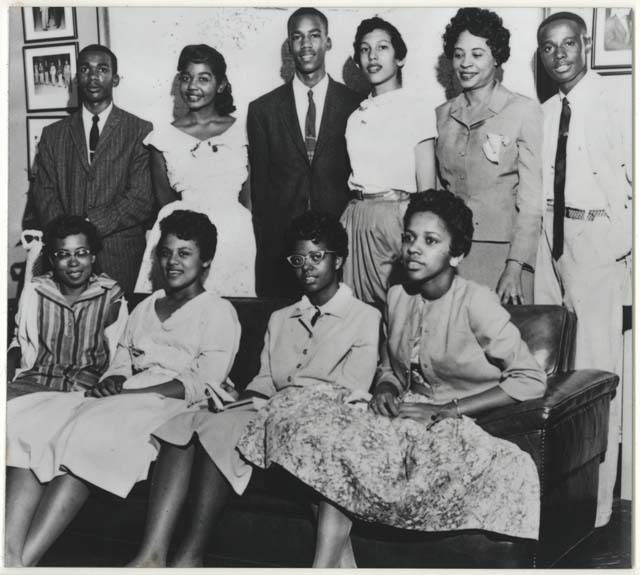 Standing in Row 2 are, left to right: Terrence Roberts, Thelma Mothershed, Gloria Ray, Jefferson Thomas, Kivie Kaplan (of the NAACP), Minnijean Brown, Ernest Green, Daisy Bates, and James B. 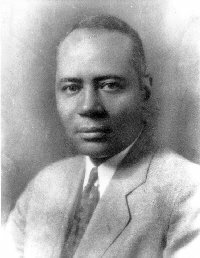 Levy, president of the Cleveland NAACP chapter. This lesson was published by Rethinking Schools in Teaching for Joy and Justice: Re-imagining the Language Arts Classroom. For more lessons like “Warriors Don’t Cry: Connecting History, Literature, and Our Lives,” order Teaching for Joy and Justice with two dozen lessons and articles for language arts and social studies classrooms by Linda Christensen. Book – Non-fiction. By Melba Pattillo Beals. 2007. Story of a teenage girl chosen to integrate Little Rock High School. Film. Directed by Sharon LaCruise. 2011. 54 min. Documentary on the life of Daisy Bates, best know for her role with the Little Rock Nine. Film. By Joan Sadoff, Robert Sadoff, and Laura Lipson. 2002. 60 minutes. 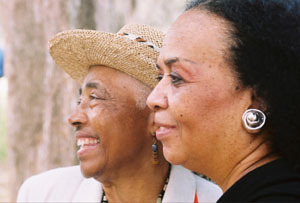 Documentary film on women in the Civil Rights Movement in Mississippi. Once again, The Zinn Education Project uses an excellent teacher to open children’s eyes to the Civil Rights Movement. I attended a few of Linda’s workshops and her “take and try” lessons were a wonderful addition to my Social Studies curriculum. I have used this lesson with my students. It helps them to understand the individuals involved in a much deeper way. This is the way history should be taught. — Julian Hipkins III, high school U.S. history teacher, Washington, D.C.